They're pioneers in the classical music business. Forging ahead with a new chamber music combination that has them performing recently commissioned works, putting together their own music series in Lakeville, and giving concerts in out of the way places. 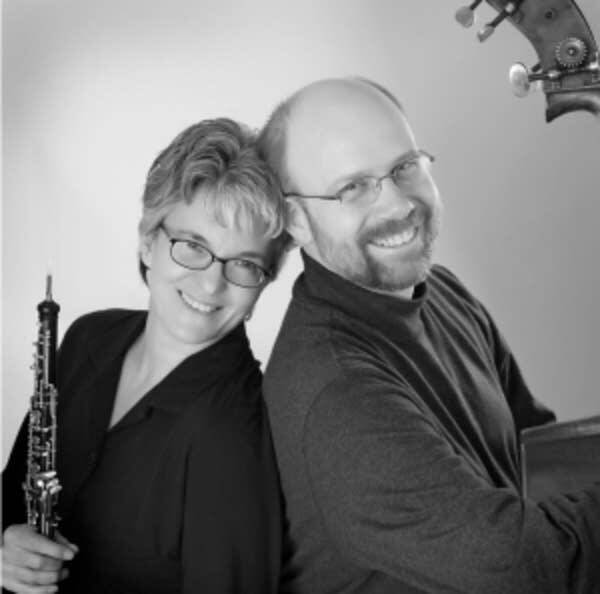 Who would have guessed that an Oboe/Bass duo combination would sound so....well, so right! The Vecchione/Erdahl Duo were recent guests at the Maud Moon Weyerhauser Studio. They told their story (there's some love in it) to Classical MPR's Steve Staruch, who found out just how infectious their music making could be.